The 16 Piece Tableware Set from Denby's Monsoon Fleur collection is a great intro to the range and includes Four Large Mugs, Four Cereal Bowls, Four Dinner Plates and Four Medium Plates. 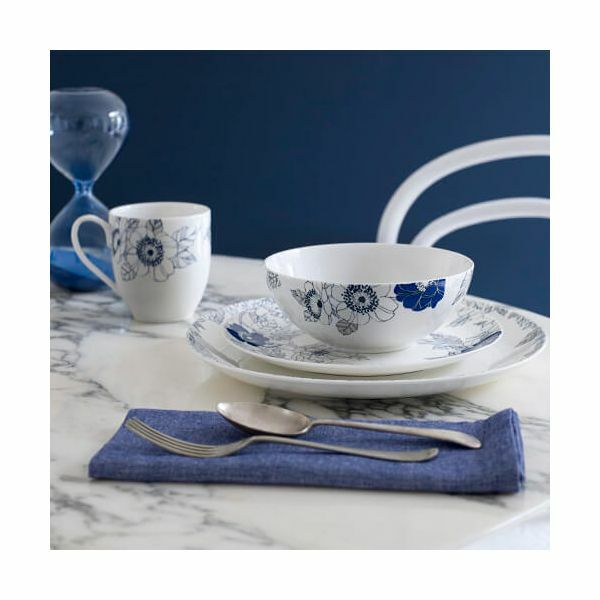 Denby has taken its inspiration for this stunning collection from Monsoon's fabric archive. 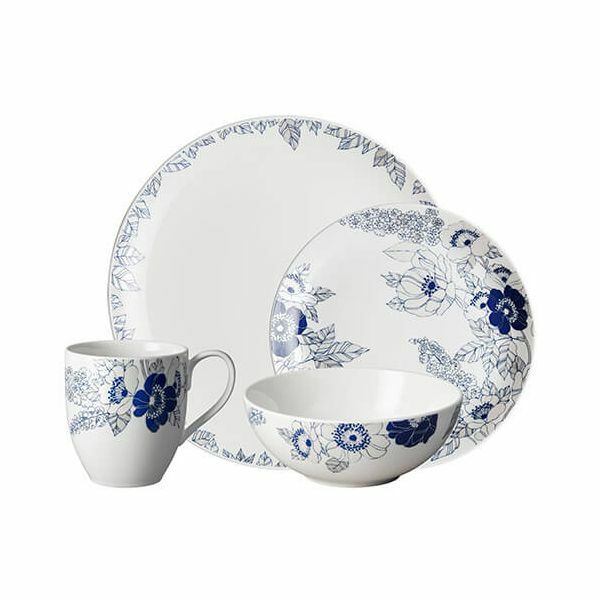 Using Cobalt Blue and shimmering silver, the fine line work of the floral patterns sits comfortably on a background of soft cream china. Smart enough for entertaining yet durable enough for every day use. This set will look good in any type of setting - from modern to traditional.